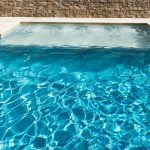 With its striking cerulean blue Hamilton beadcrete interior and crisp surrounding paving, this inground pool was the perfect addition to a sunny back garden in St. Ives. 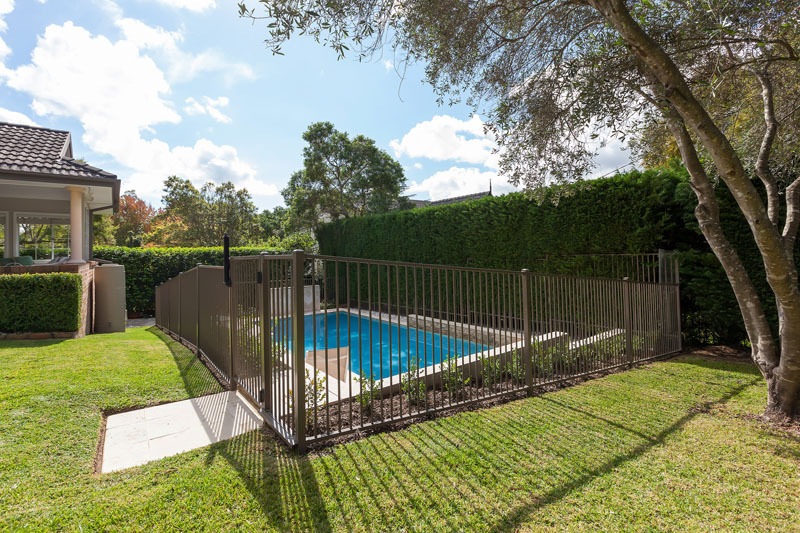 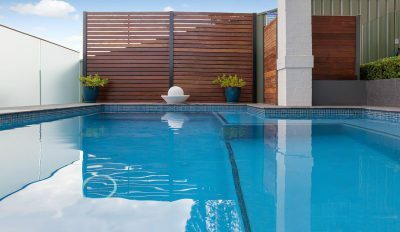 A low-depth swim-out creates a safe entrance to the pool or a relaxing area to sit and enjoy the jets along the wall. 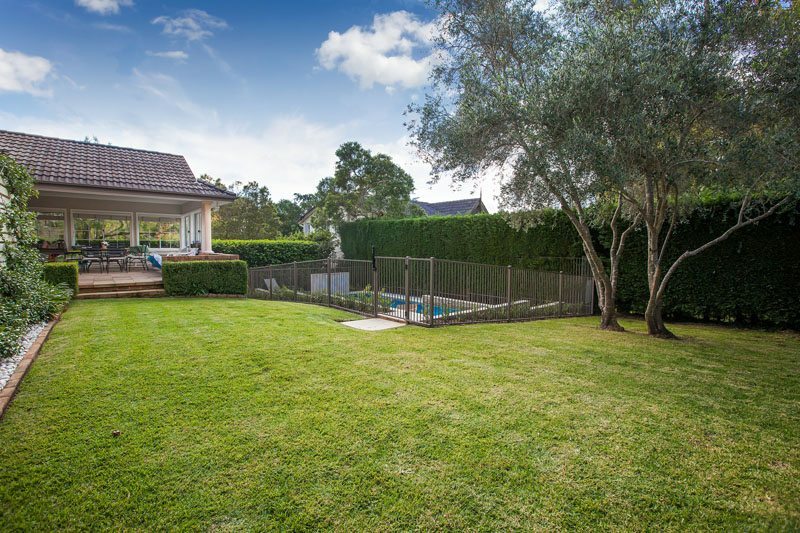 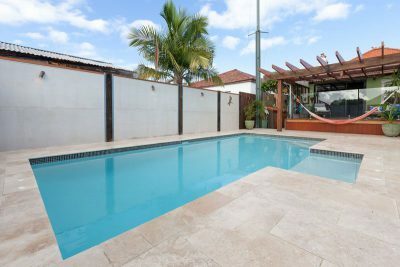 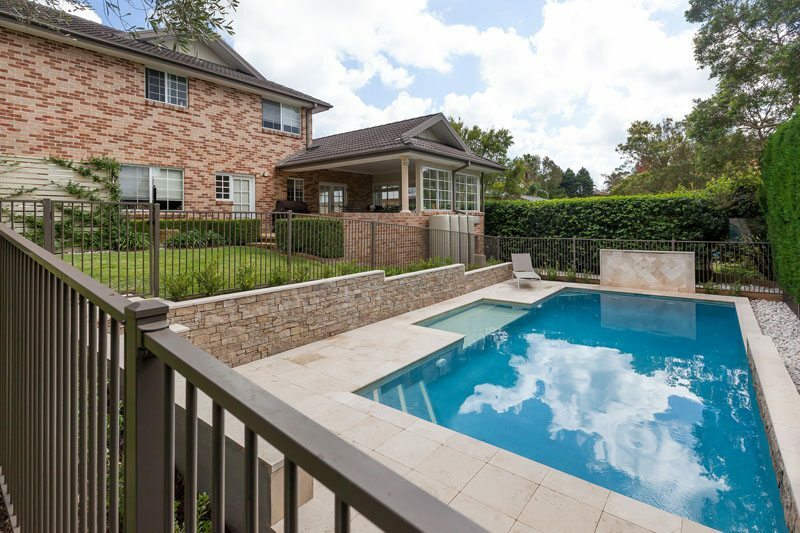 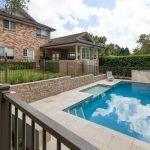 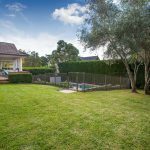 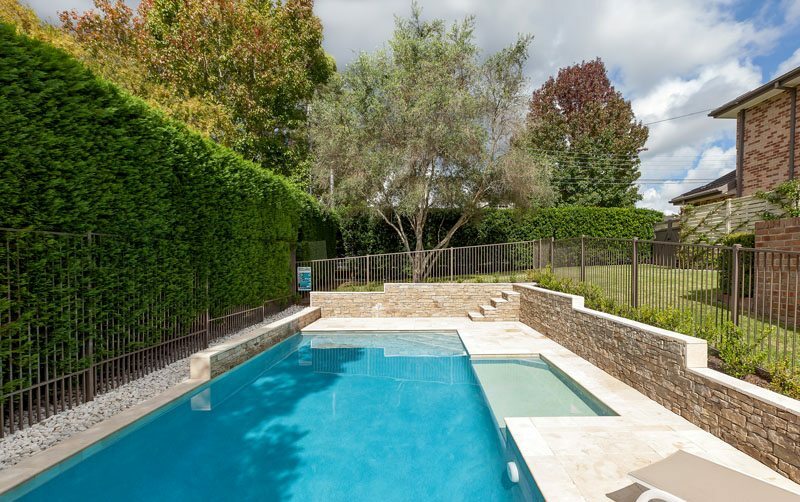 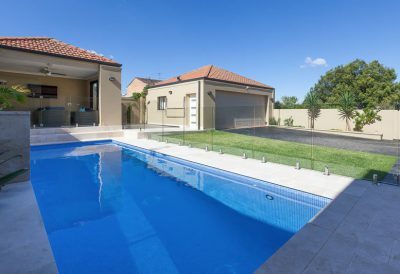 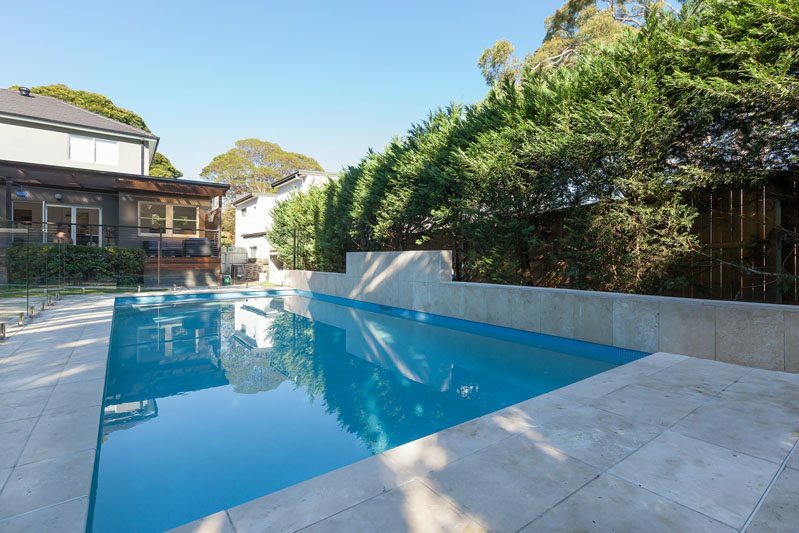 The 200mm pool coping width and surrounding paving were done in travertine, creating a bright frame for the pool and complimenting the textured stones of the retaining wall. 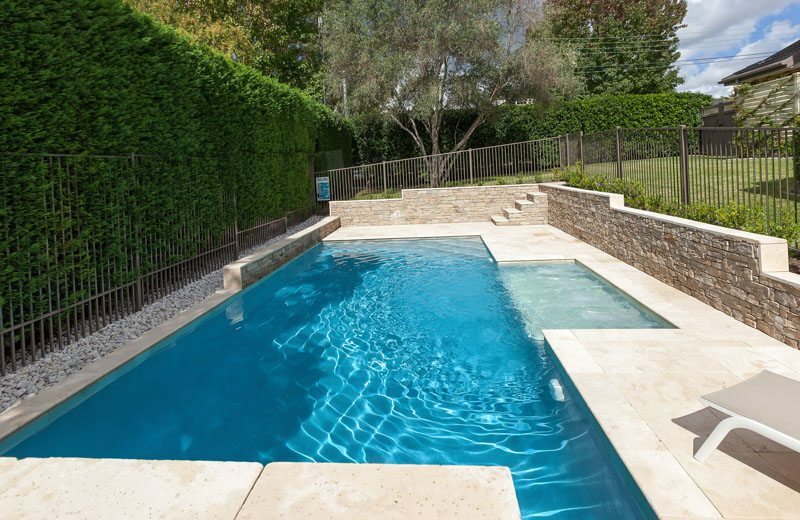 The pool surrounds include planter boxes and a sheer descent water feature to add the relaxing sound of water flow. 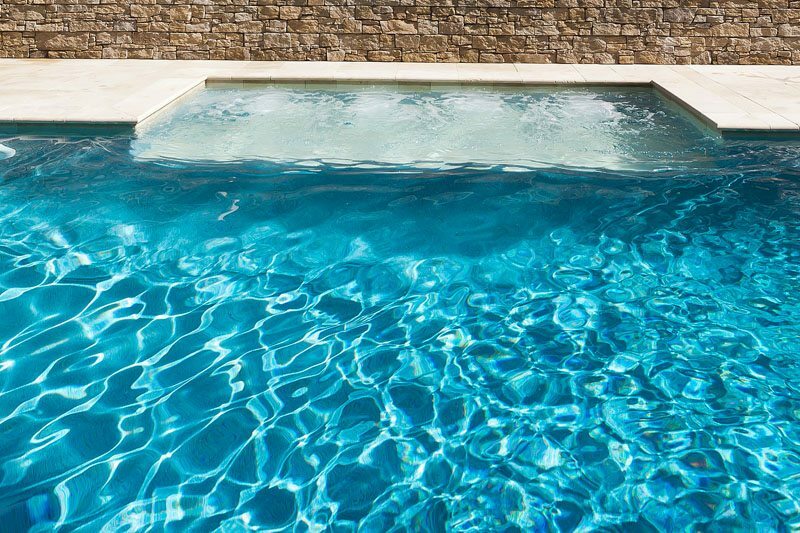 For this pool design, we opted for a smart mineral system to keep bacteria in check while reducing chlorine levels. 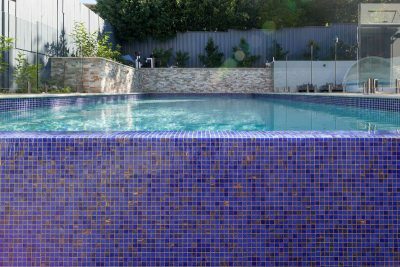 For added comfort, we also installed a High NRG gas heating system to quickly and efficiently heat the pool to a comfortable temperature.